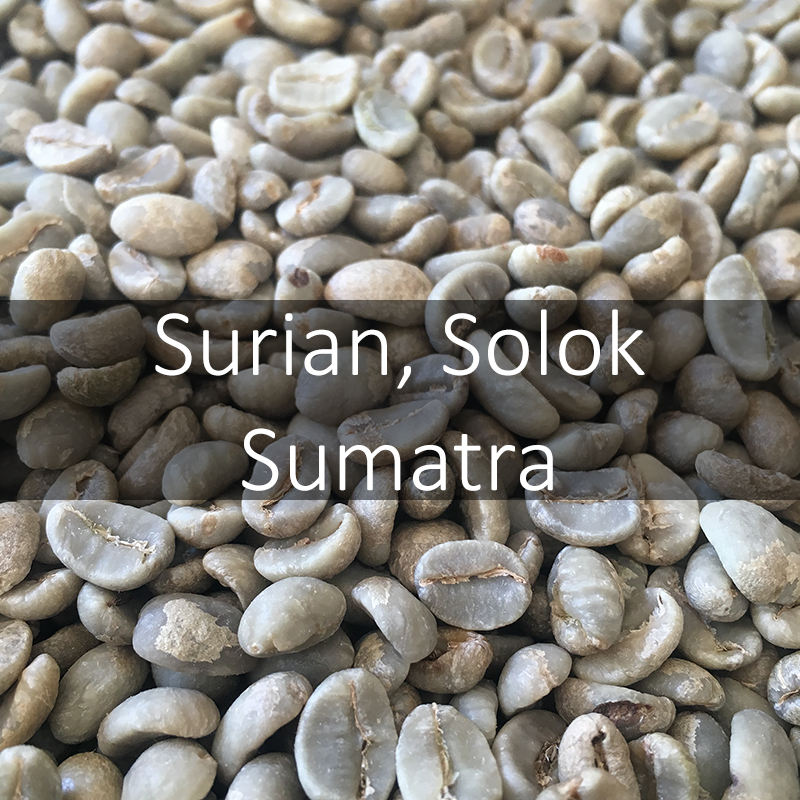 The Green Sumatran Surian Solok, sourced via Flacon Specialty. 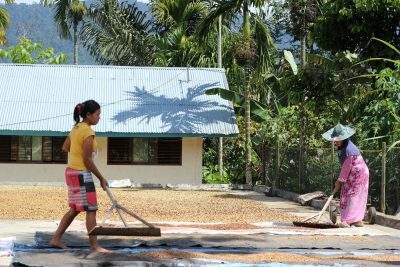 Today the average farm size in Sumatra is small. Typically a farm is just one to five hectares. Across the country different varietals can often be found growing together. 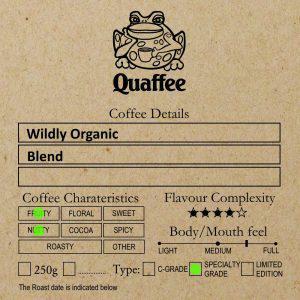 Characteristically Sumatran coffees are mainly produced by a unique semi-washed process which is sometimes described as “wet-hulled” and is known locally as Giling Basah. 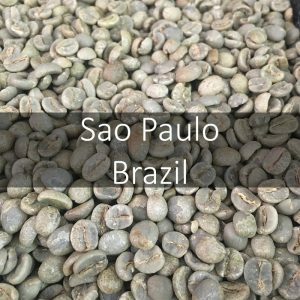 This style of production has dominated the export of coffee from Sumatra due to the market demand with little room for alternative processing. 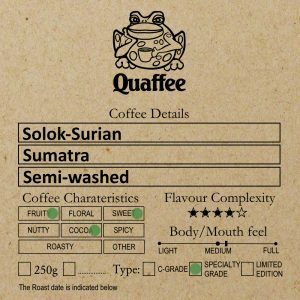 Now though there are regions in Sumatra looking to diversify away from this method of processing and look to more traditional processes such as washed & natural. Falcon have been able to work this year for the first time with the Suriyan group located in the Solok region of West Sumatra where they have been only growing coffee for the past 4-5 years. This drive has come from the local Government who have invested in small localised washing facilities to help promote this region and create a unique profile. 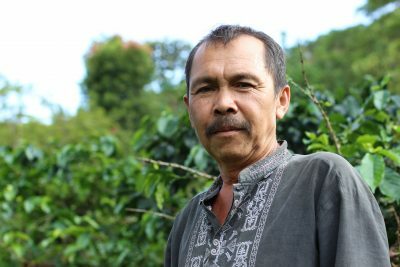 Located 3 hours from Padang, high up in the mountains of West Sumatra, the Minang Solok people native to this area have begun to grow coffee in what was once a traditional tea cultivating area. 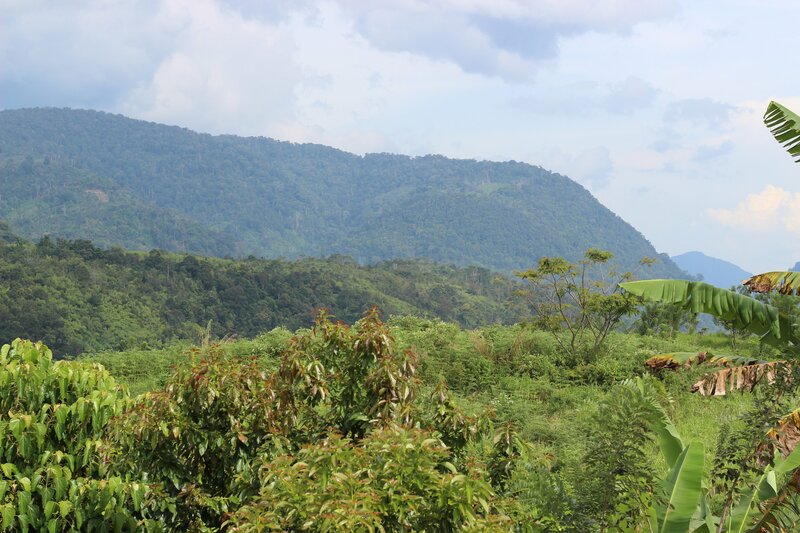 The Surian group is made up of 12 local regions with farmers within these groups owning approximately 1 -2 hectares. 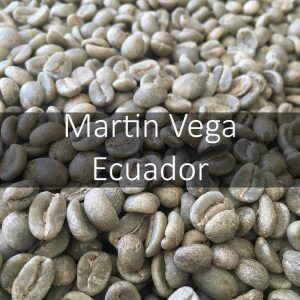 These groups deliver their cherry to the local mill, which is managed by Mr Edravanoid. Who returned to the region after working in the oil and gas industry for the government. On his return, he has helped set up the washing station and has created a coffee nursery. 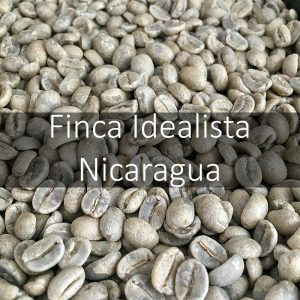 Initially to provide plants to the local farmers, so they can grow coffee alongside their rice crops. 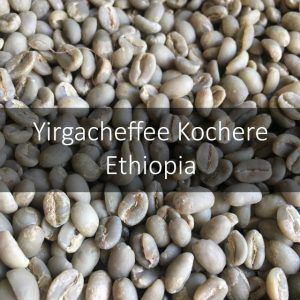 Moreover these farmers have access to an agronomist, Febriyansak, who has mapped out all the farmers in the are using GPS and helps them with agronomy training to help improve the quality of coffee they produce. 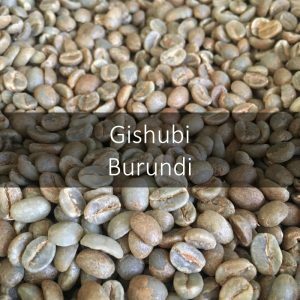 Once delivered to the washing station, the coffee cherry is separated for quality. Then pulped before being left to ferment over night for 12 hours. 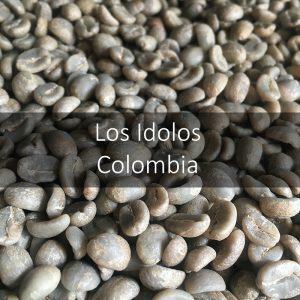 Once ready, it is then laid out onto the small patios and turned regularly each day and dried for 7 -10 days. 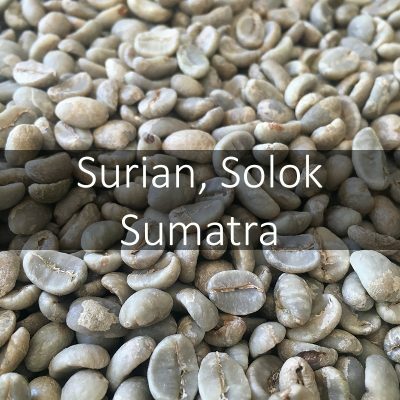 The Sumatran Solok Surian is a lot of coffee that cupped well and seperated as an indentified lot. 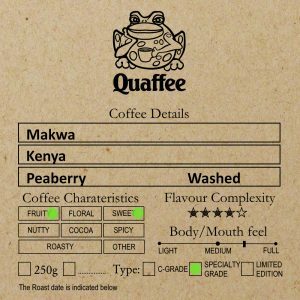 This coffee is more fruity than a typical Sumatran. Surian, Solok , West Sumatra.